Get excited with Ain Sokhna Shore Excursions, Enjoy Dahshur, Sakkara and Memphis Tours from Ain sokhna Port, Discover Dahshur, Sakkara and Memphis Tours from Ain sokhna Port, Book Dahshur, Sakkara and Memphis Tours from Ain sokhna Port with Shaspo Tours. 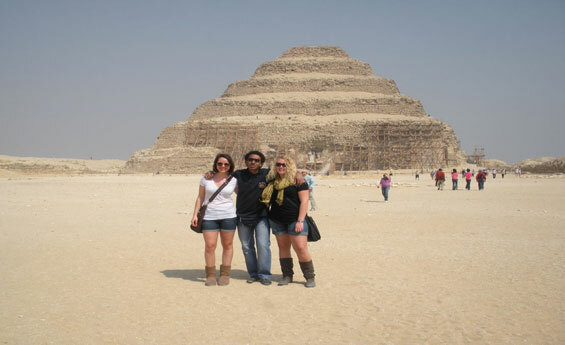 Shaspo Tours representative will pick you up from Ein Sokhna port, then transfer by air-conditioned modern van to Cairo, start your tour to visit Dahshur Pyramids, visit Bent & Red Pyramid, which was not completed, proceed to visit Memphis City including visit to Ramses II statue at the open air Museum, enjoy Lunch at local restaurant, continue visiting Sakkara step Pyramid of King Zoser, it is the oldest major stone of ancient Egypt, have the chance for shopping, at the end of your day tour, transfer back to Ein Sokhna port to catch your cruise ship. Assist & transfer to Ein Sokhna port at the end of your tour.